Bob Cury at RJC Yacht Sales sends word that broker Michael Strassel has joined the firm. 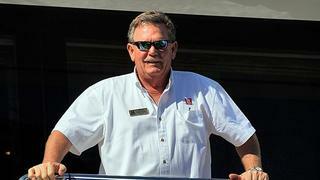 Mike brings with him thirty-four years of marine experience including 21-years at Hatteras of Lauderdale and Allied Marine along with the past 10-years at HMY Yacht Sales. Mike’s efforts with these firms have resulted in the sale of hundreds of production yachts from the Hatteras, Viking, Bertram, Tiara, Princess, Azimut, Ferretti and Benetti yards.